Ashley Highfield is a British media executive. After starting his career as a management consultant he worked in interactive TV before he was hired by the BBC in 2000. While at the BBC he oversaw the launch of the iPlayer, and grew the corporation’s online business. He is currently the CEO of Johnston Press, a regional newspaper publisher. I think it is one of those products which we need to think hard about in terms of whether we are giving potentially some of our best customers away. It needs to be really closely reviewed in terms of making sure it is beneficial to both firms. Both firms, Sky and us, are still committed to try and make this work but I think it is a product we are currently under review on. Highfield defends plans to buy back Johnston Press bonds at a healthy discount. Prices vary but last traded values on the Frankfurt exchange were just under 60p/£, meaning that it could net a considerable saving of the full capital value that is due for repayment in 2019. The bonds have a 8.625 per cent coupon and cost the company nearly £20m per year just to service interest. We have always stated we would use disposals to both strengthen balance sheet and pay down debt. Sadly Ashley Highfield is living in cloud cuckoo land if he thinks the acquisition of the i is transformational. Taking on extra debt and flogging off other assets will not result in salvation for Johnston Press. Our members see the actual reality in the company’s newsrooms day in and day out. Content sharing between the i and other titles is a way of trying to mask low staffing levels in Johnston Press sites with all the consequent problems for quality journalism and stressed-out staff. The company now appears to actually be factoring in periods of ‘disruption’ during its transformational projects – such as the salesforce changes. Unfortunately, as those who have gone through the transformational ‘Newsroom of the Future’ editorial programme will testify, things are certainly no better on the other side. There must be questions in the minds of the board and shareholders about whether this is the right strategy for the company, though Ashley Highfield seems intent on pressing on despite all the warning lights flashing on the dashboard. Highfield comments on the increase in newspaper circulations in the week after the UK’s Brexit referendum. i’s growth is evidence of the continued power of print. [The paper has] provided valuable, balanced context for readers making the most important decision of a generation because it had not endorsed either side in the vote. Highfield is interviewed for a Johnston Press investor profile in The Daily Mail. On whether the i will increase national advertising share. We have the opportunity now, if we can package ourselves properly, to go on the front foot to take a greater share. Even in a declining market this should be possible. For the first time we have enough clout, being the fourth largest publisher in the UK, to go to the agencies and forge our own agreements. We are only halfway through this journey. We have the debt down from almost £400m when I joined and a business that had a cost base that was unsustainable is a business with still almost the whole range of attractive brands. But as I say, the job is only half done. After more than a year of talks, Highfield says regional media groups and the BBC have agreed in principle a new partnership. Highfield highlights four areas of focus with the BBC: funding for more journalists, potentially employed by local media groups; a video bank that would make BBC regional content available to local media partners free of charge; a shared data journalism unit; an agreement on better linking to local media content on BBC news sites and attribution to content originated in the local media. We still need to work through the numbers and we’re under no illusions how difficult that might be. [Local media would benefit from] a proper commercial framework for use of this content by the BBC. We are trying to reach an agreement on how it is going to work – how much, and when and where…All we ask for is a fair eco-system. Prompted by the ongoing debate over a celebrity couple’s attempts to keep their names out of the English newspapers, Highfield tells BBC Radio 4’s Today Programme that the law regarding celebrity injunctions should be changed. I think in a digital world it’s increasingly unsustainable where one quick Google search will reveal the person in question. Highfield says the BBC should pay for regional papers’ journalists to cover courts and council meetings. Regional papers are seeking £14m a year from the BBC’s licence fee income to cover public service reporting. The proposed new deal would fund 364 public service journalists. [The BBC] would be setting aside an amount to fund council reporting. But instead of the 100 journalists being employed by the BBC, and effectively being tanks on our lawns, the idea we are working through with them is that this could be an even bigger initiative with several hundred journalists. But they would be employed by us, and that is the difference, and commissioned to provide council and other quango reporting to the BBC. Speaking at a “fireside chat” Guardian Media Changing Summit 2016, Highfield calls for better industry metrics. We’ve created two metrics – newspaper sales and unique users – and never the two shall meet. We need to create a new, single, de-duped, audience-led metric – a total readership-like number that ad agencies and advertisers will buy into. Johnston Press reports total revenue for 2015 was down by 6.8% from £260m in 2014 to £242.3m last year. However, profits increased by 22.6% to £31.5m by reducing costs to £191.7m from £205.3m in 2014. CEO Highfield says the group hopes to sell some brands and some of its key assets. However, he said he “could not rule out” closing some titles. Debt is down by £14.8m to £179.4m from £194.2m in 2014, with interest payments reduced by almost £10m to £19.1m. The number of people reached through Johnston’s digital titles was up by 40.7% to 22.6 million, with digital advertising revenue rising by 12.4% to £30.6m. We are a plc and our primary objective is to keep the business moving forward … we have to make profits. We are all on the same side here, which is try to get the business back to growth and get the long-standing debt off our shoulders. The tough trading conditions have already been highlighted by DMGT and Trinity Mirror. We are being prudent in not anticipating it getting better and we are going to make sure we are cutting our cloth appropriately. Highfield also says Johnston has filled all but two of 50 roles for i for when it takes control of the title on 10 April, filling the roles from The Independent within two weeks. Trading conditions in the first half of 2015 have undoubtedly been challenging, especially in the period around the general election – a time when there was also a high degree of uncertainty in the wider market. 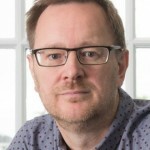 While speaking at the Digital Media Strategies conference, a gathering of more than 400 CEOs and senior leaders from the media industry, Highfield warns that the number of full-time journalists working across the group’s local titles will fall from its current figure of about 1,000. He says Johnston Press is aiming to increase the proportion of its revenue from digital advertising to about 23% in 2015, up from 17% in the current financial year, and that the group is headed towards a point at which digital ad revenue is growing four times faster than print declines. The economics of this business means we will end up with fewer full-time journalists on our books. What you end up with is a much more fluid model with contributors producing a larger percentage of the newspaper. That’s not something we can duck. The economics of the digital world are going to mean our businesses can grow, not just survive but grow, but we need to go about things in a different way. It doesn’t mean the front of the book or the quality of editorial oversight will be diminished. Highfields says, contrary to the predictions of media pundits, that Johnston Press will still be printing newspapers in five years. The decline in Johnston Press revenues has slowed from 4.3pc in the first half of the year to 3.1pc in the third quarter. The company cited 40pc year-on-year growth in the audience for its websites, to 27 million users in September, as the main force behind the improvement. We’re increasingly confident in saying the worst is over for the regional press. We might not be completely out of the woods but the growth in digital audiences, and in fact the performance of print, tells us we’ll get there. The BBC announces 100 job losses across its websites as it looks to control costs. Highfield says the corporation’s spending on the web will fall by £6m in the next financial year to £68m and by a similar amount the following year. After several years of explosive growth in staffing and spending, BBCi will only receive inflation-linked budget increases from now on. We have strategically positioned the move towards interactive TV because we’ve seen how popular it can be and it reaches people that don’t necessarily spend a lot of time on the web…We’ve got to work out what people look at and what they don’t. Highfield defends the previous year’s decision by the BBC to almost double the amount invested in the corporation’s websites. The corporation spent £100.4m on the internet last year, compared with £54.2m the year before. Including interactive television, the total expenditure rises to £111.6m. Highfield says future spending will be capped at 3%. Commercial rivals and some MPs have criticised the BBC’s spending, arguing it is using licence fee-payers’ money to provide online services already offered by the commercial sector. Having arrived from the commercial sector, I’m always acutely aware of this. Whenever I think about where we’re going to put our money, I always carefully consider the consequences for the private sector. I trebled the amount we spend on nations and regions, increasing the number of Where I Live regional sites from 13 to 37. It doesn’t block out any commercial interest because most existing regional sites are heavily based on classified advertising. A large proportion of the extra money was spent on upgrading the BBC’s server technology to cope with the increase in users following September 11. Part of our original commitment was to encourage people to come on to the web and I think we’re doing that. Of the 500,000 visitors who used the Test the Nation site on the day of the broadcast, 300,000 had never visited the BBC site before.